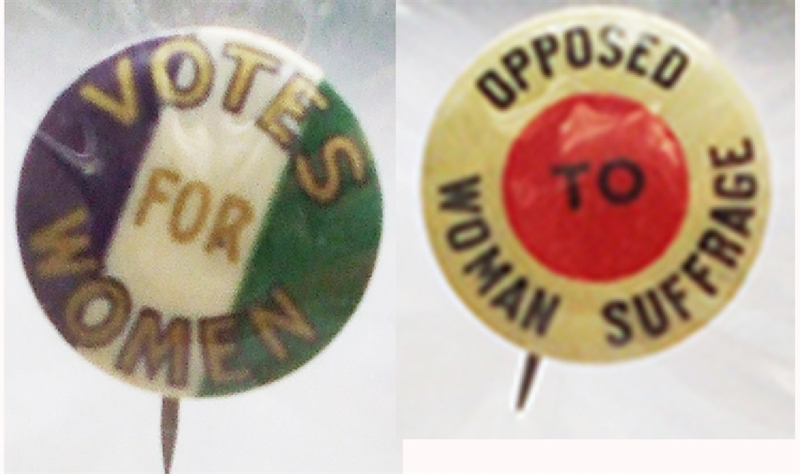 A pair of pinbacks to include; Pinback, 1/2” diameter, “VOTES FOR WOMEN” with back print, “Women Political Union, N.Y.C.”, fine. ... plus, Pinback, 3/4” diameter, “OPPOSED TO WOMEN SUFFRAGE”, with back printing, Eastmen and Co., Rochester. Both near fine.